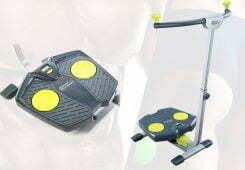 The Jet 100 treadmill scores very highly in our recent review. 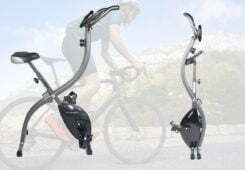 Today we take a closer look at another of the Jet range, this time the Jet 100 cross trainer to see how it compares to others in its class such as the ZR8 and ZR10. The package arrived in a suitable time and was able to move the box into my spare room with little effort for two of us. I would still recommend having this item delivered as it weighs about 60kg’s in its box. Just to give you an idea of how good this machine is, whenever I look at a mid-range cross trainer I always think of the Reebok ZR8 as a comparison. It’s what I consider the benchmark of a quality cross trainer and this is for good reason which are noted below. Delivery was quick and a new feature for my local department store was I got to choose my delivery slot, #win! The Reebok GT60 is one of their top of the line models, equipped with all the latest bells and whistles. The big question is paying the extra really worth it? This was delivered 24 hours after ordering from a large retail chain, for a large bulky item such as a treadmill that is exceptionally quick. Lucky two men turned up in the lorry as the Reebok GT60 is one of the largest and heaviest treadmills I have ever tested. If you are looking for a compact, budget yet stylish treadmill, the Reebok GT30 could be the perfect choice for you. With solid build quality and stylish looks it’s really hard to find any faults with this entry level running machine. 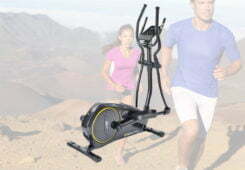 A great machine for new and experienced runners alike. It has a hefty RRP of £899, we run it through its paces to see if it really deserves its place in the almighty premium £1000+ category. 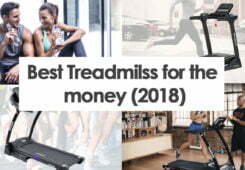 This treadmill at the time of writing was full price from my local retailer. 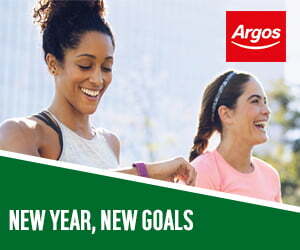 They have been known to go on special offer on occasions, but this is rare when compared to how often sales occur on other brands such as Reebok or NordicTrack. Sitting firmly in the middle of the Reebok range of treadmills is the Reebok ZR7. 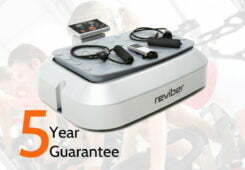 Boasting 32 user programmes and a motor with a continuous 1.5hp motor it seems the ideal choice for a home treadmill. We put it through its paces to see how it compares to its bigger brothers we have tested, the ZR8 and ZR10. This is a very well made, solid and sturdy treadmill worthy of gym status, smooth to operate and a quiet, comfortable running machine. 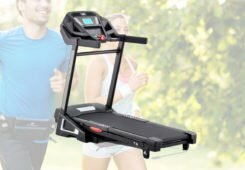 I found it very easy to build with clear instructions and has the ZigTech cushioned running deck to help alleviate the aches, pains and strains of a workout. 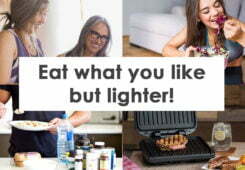 Whether you choose the programmes set out for you or you choose to programme your own the choice is up to you. The variations in speed and incline will certainly keep you on your toes and together with a cooling fan and your iPod or MP3 player to keep you company your workout should be a doddle! Can the Reebok Jet 100 exercise bike score as highly as its treadmill counterpart? With features galore and an almost identical LCD unit at the Jet 100 cross trainer, it already looks like a promising setup. 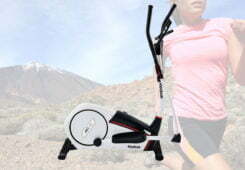 Introduced early in 2011 the Z9 was a classic Reebok running machine that excelled in many areas and it was the first choice for many home gyms. Now in 2016 Reebok have released the ZR9 that promises to bring the same high quality of the Z10 but with some fresh updated features. Sitting firmly in the premium category of cross trainers is the GX40s from Reebok. Equipped with all of the latest technical updates from Reebok how does it compare to previous versions? As a review was required at short notice I had to collect my Reebok GX40s from a local fitness retailer at the full RRP. If you can avoid collection I would due to its weight being around 57kg’s when boxed. That’s almost at heavy as some treadmills! 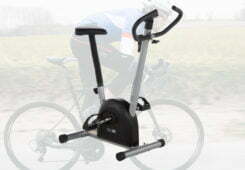 In our opinion this cross trainer sits in the sweet spot of price vs performance. It boasts a beautiful blue LCD screen, 32 levels of resistance and a full 15” stride length. 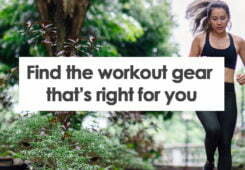 We would advise this is a perfect choice if you are thinking of buying a cross trainer for the first time. 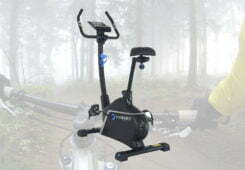 Can the latest Reebok GB40s exercise bike compete with the others in its category? 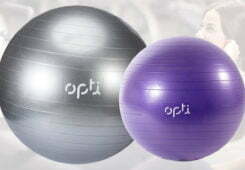 With a RRP of £499 we have high expectations. Ordered and delivered next day from a local well known retailer, a nice start. I had to ask for a hand from my partner to help me move it from the hallway into the spare room as it weighs around 35kg’s in its box.